Before we can decouple our real-time logic tests from our network, we need a way to inspect what’s happening in our server-side networking code. 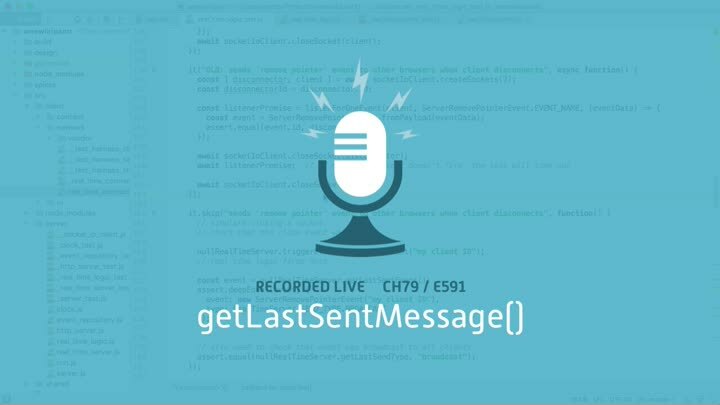 One key piece is getLastSentMessage(): a method to tell us which message the server sent (or intended to send) most recently. We implement it without any trouble.